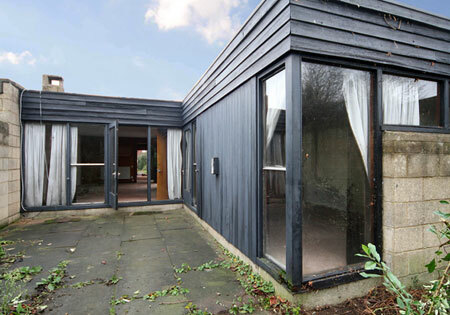 Finding mid-century properties in original condition isn’t easy these days, but this Cockaigne House in Hatfield, Hertfordshire is one of the few. 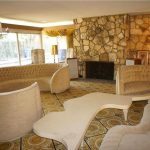 This single-story house was designed in the mid-1960s by architects Peter Phippen, Peter Randall and David Parkes and has been in the same hands ever since – and with very little change in that time. 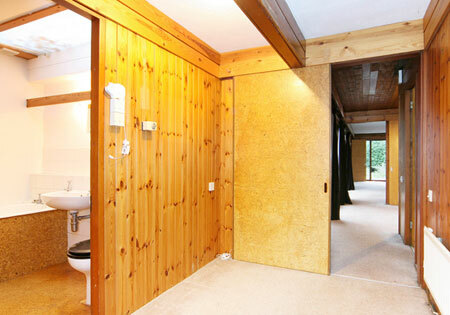 Which means it requires ‘full modernisation’ and work to deal with damp and rotten timber. rear gardens, an internal courtyard and access to communal gardens. 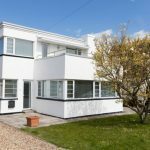 It’s on the market for around £375,000.